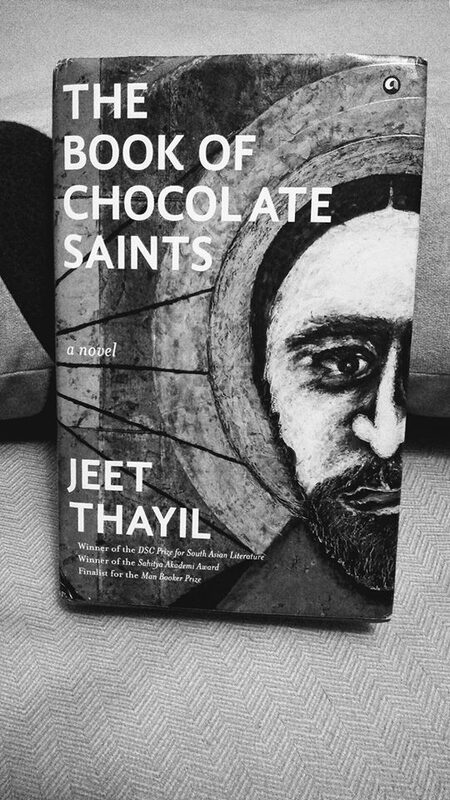 Holding a copy of Jeet Thayil’s ‘The Book of Chocolate Saints’ in your hands can be somewhat intimidating, mostly because it gives every indication of being a weighty tome in every sense of the word. Not surprisingly, it is not possible to classify this literary extravaganza which is many things without limiting itself to anything in particular. Mostly though it is chock full of the avant-garde even when it seeks to do as it declares which is to fictionalize the lives of “a lost tribe of brothers and sisters marked by ink and drink” or in other words chronicle the terrible cliché that is the tormented artist with their mommy issues, substance abuse troubles, solar – system sized egos and existential angst. While it is something of a struggle to describe or summarize the sprawling expanse of this novel there is no denying that it is most compelling and an absolute pleasure to disappear into its delirious depths replete with compelling characters and colourful stories that are dizzying in terms of their sheer plenitude and the towering ambition that conceived them. The journey thither is of course filled with diverting detours and segues into an involved digression on the Bombay poets of the seventies and eighties, those tormented souls and ‘chocolate saints’ who engaged in the lonely struggle against obscurity and ignominy armed only with their pens which they had been misled into thinking was mightier than the sword only to eventually succumb to the all-pervasive wretchedness that had dogged them all their lives. It is also among other things a searing examination of the terrible thing that is the artistic ego and temperament that with unstinting selfishness sees fit to use and discard all those who are hopelessly drawn like the proverbial moths to the irresistible creative flame. Thayil’s unflinching portrayal of the raw savagery art demands is comparable to the gut wrenching ferocity of blood sports leaving victims cruelly broken; reduced to ghosts of their former selves, carelessly strewn about by the artist who claimed them, with even the occasional twinge of remorse serving only as the laxative to blocked inspiration. The protagonist’s callous treatment of the women in his life is particularly disquieting, bordering on the unspeakable. There is something to be said about the carelessly elegant predators out there who feed on the generosity and tender care gifted to them by the women who love them, with parasitic frenzy, before abandoning them, drained of vitality and will. Art, even great art cannot be used as an excuse for such senseless brutality. This aspect grates on the nerves to the point, where you wonder at the tiresome notion that every author/poet/filmmaker/musician/etc. who wishes to stakes his claim to greatness must wallow in the cesspool of mostly self – inflicted misery. Surely throughout the extensive history of art there must have been a fair share of exceedingly gifted types whose personal life was relatively conflict free, sans obsessive emotional flagellation and did not culminate with heads being stuck into ovens or drowning in one’s own puke while under the influence of intoxicants? Yet, minor grousing aside, Jeet Thayil’s remarkable book is not really meant to be analysed, rather the reader would do well to cast aside all reservation and be swept up in its surging currents, delighting in the sheer sensations it evokes. Revel in the inspired ideas, relish the asides that are funny as well as heart-breaking and ride on the wings of lyrical prose that transcends the limits of the medium while allowing your soul to soar towards the very height of great art powered by a superior mind at the very height of its prowess. Freedom of expression is a fundamental right bequeathed to every Indian citizen. Theoretically. On paper, we have the right to think for ourselves, dissent at out discretion and make personal choices regarding self – expression, thank you very much, without fear of being hounded or prosecuted. It is a precious right which our ancestors fought and died for during the glorious freedom struggle against their imperial overlords who had subjugated them and sought to dictate how they thought and how they behaved. Yet, as the Padmavati row has proved, we still need to pick up cudgels and fight the good fight, except this time, it is against those we voted to power ourselves (having made a bad choice from an array of worse ones), who are attempting to blatantly control what the citizens can watch, think, or read. Since everybody and their cousin know the particulars of this issue, I refuse to devote writing space to the moronic machinations of those whose reprehensible actions do not merit attention or a response. Thanks to a climate of moral and cultural hysteria we have ushered in the age of rigorous censorship which has made it a difficult time to be in the creative fields (or any field for that matter). All things artistic be they innocuous or inflammatory are liable to hurt the ‘sentiments’ of vested interests and their makers will find themselves in the unhappy situation of having to deal with wannabe expurgators backed by the tyrannical authority of the ruling government. Ironically, today, if an author were to make the attempt to pen down the life and struggles of legendary figures from History or Mythology which is often not quite as clearly demarcated as one might think given that too many ‘facts’ are gleaned from the realms of legend or fantasy and stubbornly venerated as the absolute truth, the going would be rough to the point of ridiculousness. I ought to know having written on mythological figures like Arjuna, Kamadeva, Shakti and Yama that involved the occasional heated debate with editors who not surprisingly tend to have qualms about subversive interpretation of Puranic texts, since it may be construed as shocking or scandalous and banned outright. 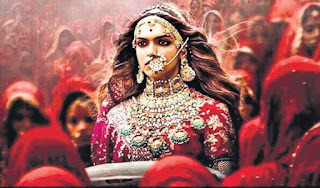 Beloved historical figures are even trickier to handle as the makers of ‘Padmavat’ would attest to, given that they are no longer considered as human beings who once lived, laughed, loved, lost and dare I say it, let loose noxious gusts of wind just like the rest of us but have been elevated to the status of Godlike beings, symbolic of valour and virtue. It is amazing how many Indians hurting from the unpalatable knowledge that as a nation and as a people we have fared dismally against foreign invaders and continue to fall horrendously short of taking care of the interests of our citizens, cling to mostly made up ‘facts’ of grandeur and glory, which amounts to little more than garish make-up shovelled on to the corpse of abject failure. 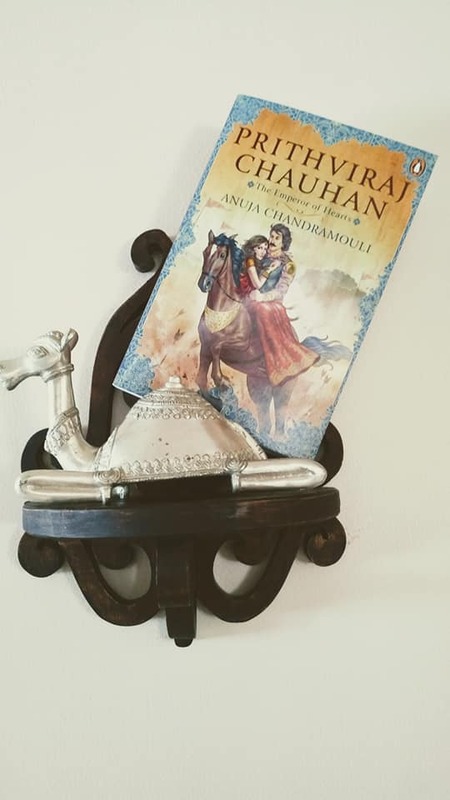 While writing my books on Kartikeya, Prithviraj Chauhan and Padmavati, I remember making my editors nervous and having fiery arguments that would have degenerated to a bout of fisticuffs had they not been made over a flurry of emails and frantic phone calls. Padmavati was particularly problematic, thanks to the raging controversy buffeting the film version. 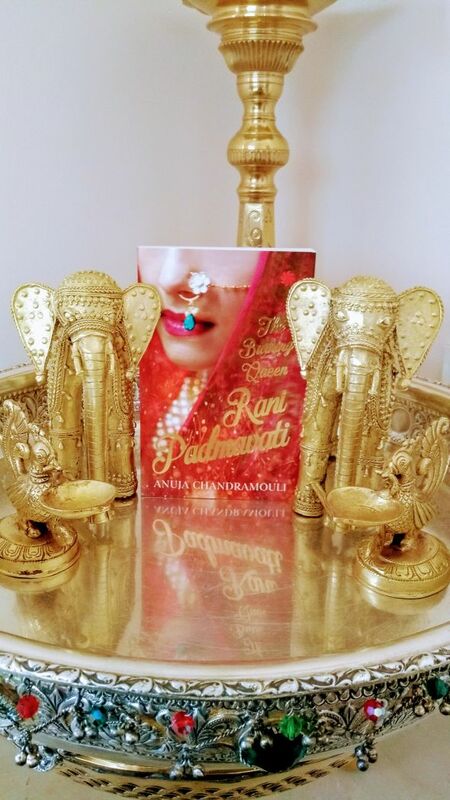 I remember, how hard it was to work past the preconceived notions surrounding the character, her parentage and even nationality, since Jayasi’s almost entirely fictitious account portrays Padmavati as a Sinhalese Princess, all of which lacks the backing of sound research. The depiction of Jauhar and Alauddin Khalji was even more irksome since I flat out refused to glorify the former and vilify the latter. With regard to the former, it truly gets my goat when the notion of a woman burning or taking her life to uphold her virtue and nonsensical notions of honour enforced by patriarchy, is romanticized and held up as an example of ideal womanly conduct. As for the latter, too many are convinced that the admittedly unsaintly Shah was a lusty, libidinous lecher who could not see past the needs of his engorged member, when history has it that he was mostly a determined, ambitious, often ruthless monarch who also proved himself an able administrator. After many an exhausting round, we arrived at a compromise that we could all live with though I could not help feeling very ill – used and thinking that a Hilary Mantel or Ken Follett would not have had it so rough. It must also be mentioned that editors mostly prove themselves amenable once I firmly but kindly decline to allow for any cuts, modifications/ mutilations to my babies and drew their attention to the original source material which contains a lot more incendiary material than anything my fevered imagination can concoct (in the case of mythology) and the glaring holes in the tapestry of history can only be plugged with artistic license and insightful writing (pause, while I blow this particular trumpet with loud and discordant pride). 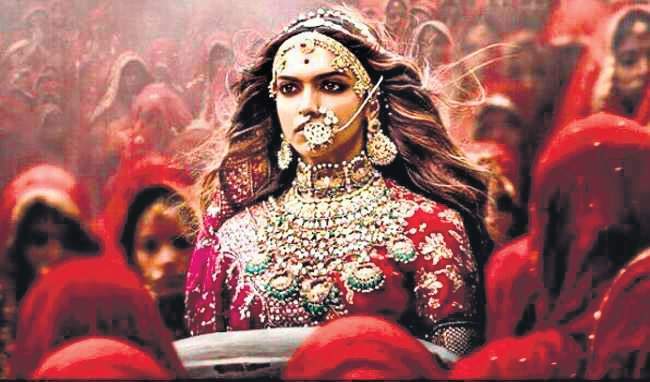 In Padmavati’s or Prithviraj’s case, once I reached the obvious conclusion that entire chunks from their life and times are lost, there was nothing to be done but to fictionalize the gaps in such a way that it is melded neatly to the existing facts. Fortunately or unfortunately, since this writer is nowhere as bold or beautiful as the likes of Deepika Padukone or feted and recognized as the Salman Rushdie types, it is possible to spin many a fabled yarn inspired by beloved characters from history and mythology without having to deal with censorship, death threats, the hate brigade that uses social media platforms to train their guns on those of us who want nothing more than to be left alone in La La Land or worrying about getting mobbed or figuring out a way to deal with the never-ending cash flow which can be a most tedious chore for the successful. 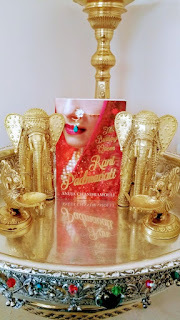 Even the publishers barring the occasional harangue, give you a wide berth to express yourself since they have bigger fish to fry, especially since Karan Johar / Twinkle Khanna / Chetan Bhagat are usually mouthing off on Twitter or they are avidly following the twists and turns of the Padmavati row as Sanjay Leela Bhansali is made to scurry from pillar to post to make sure his movie sees the light of day. It is hard to blame publishers with cold feet entirely given the fact that it is ridiculously easy not to mention nearly cost free to slap a ban on just about anything given the rampant spirit of censorship that plagues this nation. While hardened criminals who brutalize women, rob the nation of gazillions, shoot and kill endangered species when not driving drunk over pavement dwellers, are considered innocent until proven guilty, a work of art does not have it so easy. Thanks to antediluvian provisions in the law, all it takes is for a fanatical sort to gather likeminded folks and bandy about terms like ‘sedition’, ‘obscenity’, ‘insulting religious beliefs’ or ‘defamation’ for a political heavyweight with a beady eye on the vote bank and the full weight of the ruling government behind him or her to ban books or movies without allowing the author, publisher or filmmakers to have their say or even prove in a court of law that such damaging charges are justified. What follows is a long, costly and arduous litigious procedure with an extremely uncertain outcome which can drive the interested parties to the brink of ruin and leave them shattered emotionally. Nobody has it easy in this world, but we can safely assume that a Veda Vyasa, Valmiki, Vatsayana, Kamban, Kalidasa, Bana, and incidentally Mohammad Malik Jayasi (whose role in cementing Padmavati’s position in the collective Indian consciousness cannot be stressed enough) would certainly not have thrived and created such immortal works had they been forced to ply their craft in these inclement climes. Our ancestors would no doubt be ashamed and aggrieved to see what this land has been reduced to. We need to remember that we are traditionally peaceable folks (with a tendency to keep the bickering and bloodletting in house), known to have taken giant strides in the fields of art, architecture, science, literature, medicine, mathematics, and philosophy. Our knowledge and culture is our legacy to the world and we will do well to preserve and perpetuate it, instead of allowing the unnecessary evil that is censorship to run roughshod over artists, writers and thinkers thanks to misguided notions about honour and glory. In fact, if the past is any indication, Indians would rather make love than war in any sphere. And that is the noblest thing about our identity and we should not let the hooligans and hoodlums take that away from us.